DEAR JERRY: As a new fan of Adele's, I was thrilled to see her dominate at this year's Grammy Awards show. What they didn't bother mentioning is the name of the other woman. It's just a guess, but I think it might be Carole King. I know she had a big year because of the “Tapestry” album. DEAR LANA: You are absolutely right about Carole and “Tapestry” having a monster year at the 1971 Awards show; however, her four Grammys that night leaves her two short of the six Adele took home this year. The only other female with a six-Grammy night is the coincidentally mononymous Beyonce, just three years ago. In 2009, Beyonce topped her own record, set in 2003, of five Grammys. One noteworthy difference is in the Award categories themselves, where the competition varies widely. All but two of Beyonce's 16 overall wins (2000-2009), are in the R&B/Rap field, where the pool of potential nominees is obviously limited. Adele prevailed each time against performers from virtually any mainstream genre. Winning here means being the best of the best. Adele picked up her first two Grammys in 2009, for Best New Artist and Best Female Pop Vocal Performance (“Chasing Pavements”). Adele is the only woman ever to win all four of what the Academy calls General Field awards, which are: Best New Artist; Album of the Year; Record of the Year; and Song of the Year. This is such a rare achievement that only one other person, Christopher Cross (1981), completed the General Field quadfecta. Now with eight Grammys on her mantle, and still only 23, Adele has a good shot of joining the all-time top 15 winners — where only two females currently reside. IZ ZAT SO? As of this writing (March 3), Adele's “21” is enjoying its 22nd week as the nation's No. 1 album — a feat unmatched by any female in music history! Catching “Calypso,” or more so “Thriller,” would be a real challenge, but putting “Purple Rain” in the review-view mirror is not only doable, but even probable. We'll know later this month. Last year on March 12th, Adele's “21” debuted as the No. 1 album. It has now been in the Top 10 for a full year, while at no time ranking any lower than No. 7. 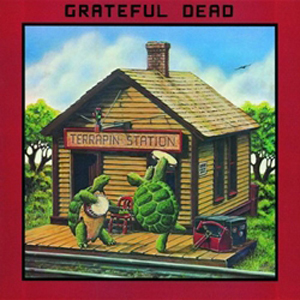 Terrapin Station, originally released in 1977, marked the Grateful Dead's first studio album in two years and their return to a major label, in this case Arista Records. The band hired an outside producer for just the second time here, using Keith Olsen, a former member of the '60s garage rock band Music Machine. Highlights abound and include the title suite that extends to cover all of side B, as well as the disco-like reworking of the Martha & The Vandellas hit "Dancin' In The Streets," the Rev. Gary Davis cover of "Samson and Delilah" and the classic "Estimated Prophet." The release, like the band, is a beautiful amalgamation of styles, with rock, funk, disco and strains of reggae. As their ninth studio effort overall, Terrapin Station has a decidedly tighter and more cohesive feel than the live material for which the band became legendary. All the same, it's unmistakable classic Dead all the way, and in fact much of the material from this record has become live staples to this day. 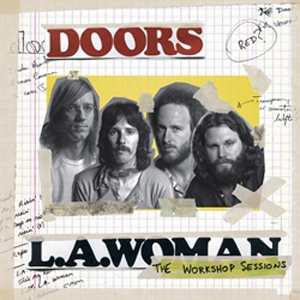 L.A. Woman: The Workshop Sessions features eight never-before-heard versions of songs from the Doors' 1971 album and a never-before-heard song, "She Smells So Nice," which captures the band joyfully barreling through a full-throttle original before segueing into the blues standard "Rock Me." As the song closes, Jim Morrison can be heard chanting, "Mr. Mojo Risin," an anagram of his name that was made famous during the bridge of "L.A. Woman." The track was recently discovered by producer Bruce Botnick while reviewing the L.A. Woman session tapes. Alternate takes of "The Changeling," "Love Her Madly," "Cars Hiss By My Window," "L.A. Woman," "The Wasp (Texas Radio and the Big Beat)," "Been Down So Long" and "Riders On The Storm" offer a fresh view on this landmark release, which was the group's last album and sixth straight Top 10. The studio chatter between songs is a revelation, transporting listeners to The Doors' West Hollywood rehearsal space where they recorded the album with Botnick. One segment in particular captures a fascinating moment of inspiration when Morrison suggests they add the now iconic thunderstorm sound effects to the beginning of "Riders On The Storm." 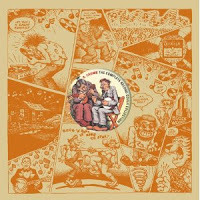 This 180g 2LP edition of LA Woman: The Workshop Sessions is presented on three sides of vinyl, with the fourth side featuring a laser etching of the original "Electric Woman" art included with the album's original 1971 release. Numbered editions make the list twice this week. A low numbered white album topped the list, getting more than $1k over a #0000056 that sold in 2009. A Nirvana "Love Buzz" single makes the list, this time going over the $2-$2.5k selling range that is very tight for this record. It's a "red slash" single which means there is a red marker slash over where the number (1 to 1000) was normally hand written on the sleeve. There are 30 of these "red slash" singles known to exist, and these unnumbered copies were given out a promos. I have been afraid of a lot of things in my life. As a young kid I was scared of people in costumes. Then clowns. Then I was scared of being kidnapped. Then I became scared of getting lost. From there I moved on to claustrophobia, especially when it comes to being in a car trunk or buried alive. I went through a brief fear of redheads. 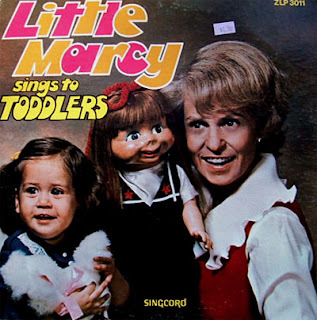 I was never afraid of puppets or, especially, ventriloquist dummies. When American folk legend Woody Guthrie died in 1967, at the age of 55, among his stored belongings were thousands of complete song lyrics for which he had not written out music or made recordings. Many of them had been written in the 1940s and ’50s, in the Guthrie family home on Mermaid Avenue in Coney Island, Brooklyn. The lyrics remained in boxes for decades, but once his daughter Nora found them in the 1990s, she knew they had to be shared. 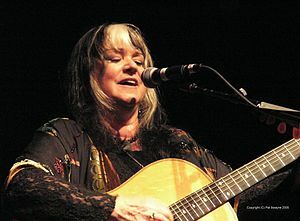 She approached English singer-songwriter and activist Billy Bragg to select some to set to music. The Chicago rock band Wilco came aboard soon after, with Jeff Tweedy writing music—along with his late bandmate Jay Bennett on some songs—and the band recording with both Tweedy and Bragg on vocals. Natalie Merchant joined the group to sing a duet with Bragg and two solo songs, and guitarist/singer Corey Harris, who wrote two songs and co-wrote one, performed on many tracks. 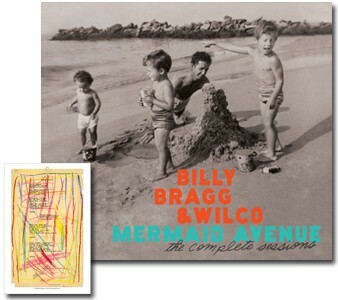 In 1998, the first batch of songs was released to critical acclaim as Mermaid Avenue, receiving a Grammy nomination for Best Contemporary Folk Album. Mermaid Avenue Vol. II followed in 2000. LOS ANGELES, March 6, 2012 /PRNewswire/ -- Crosby, Stills & Nash (CSN) have announced dates for the South American leg of their 2012 world tour. The newly added shows include three concerts in Brazil—May 10 at Via Funchal in Sao Paulo, May 12 at Chevrolet Hall in Belo Horizonte, and May 13 at Citibank Hall in Rio de Janeiro. CSN website members will have access to pre-sale tickets beginning March 8; public on-sale for the dates begins March 16. Additional South American dates will be added. CSN's itinerary in South America follows a March/April tour of Australia and New Zealand, and a string of U.S. dates in the second half of April; CSN have plans for an extensive US tour this summer. Most recently, CSN performed a handful of U.S. dates in 2011, including the all-star MUSE (Musicians United for Safe Energy) concert at Shoreline Amphitheatre to benefit Japan disaster relief and groups promoting non-nuclear energy worldwide, and three shows at NYC's Beacon Theater. More than four decades since CSN first harmonized in Laurel Canyon, and played their first-ever concert as a trio at the legendary Woodstock festival, its members continue a creative partnership that is one of the most influential and enduring in music. David Crosby, Stephen Stills, and Graham Nash have each been inducted into the Rock and Roll Hall of Fame twice—once with Crosby, Stills & Nash, and a second time with The Byrds, Buffalo Springfield, and The Hollies, respectively. They have also been inducted into the Songwriter's Hall of Fame, with the honor recognizing both CSN as a group, and each member as individual solo artists. CSN's music first became a cornerstone of rock 'n roll with the self-titled 1969 debut LP, one of Rolling Stone's "500 Greatest Albums of All Time." Ever since—through changing times, various configurations, and acclaimed solo careers—Crosby, Stills & Nash have continued to tour and record as "three together." 6. The Kills - The Last Goodbye 10"
12. Josh Ritter - Bringing In The Darlings 10"
13. Alabama Shakes - Live At Third Man 7"
In 1917, the Dixie Jazz Band One Step by Nick LaRocca's Original Dixieland Jazz Band, credited with being the first jazz record, was released in the US. In 1939, Guy Lombardo and his Royal Canadians recorded "Auld Lang Syne." Although it became the band's signature tune and a tradition on New Year's Eve, their recording of it never charted. 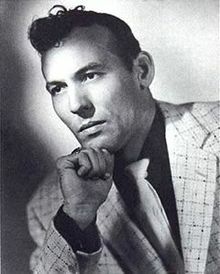 In 1955, Carl Perkins becomes the first Country artist to have a hit on the Billboard R&B chart when his "Blue Suede Shoes" makes the list. In 1957, in Boston, the Tune Weavers recorded "Happy Happy Birthday Baby." In 1962, the Beatles appeared on the BBC radio show "Teenager's Turn - Here We Go." Recorded at the Playhouse Theatre in Manchester, it was their first time on the BBC, their first full live performance caught on tape, and first appearance in what became their trademark Beno Dorn-designed collarless suits. They performed three cover versions: "Dream Baby (How Long Must I Dream)," "Memphis" and "Please Mister Postman." On this day in 1965, "Eight Days A Week" by the Beatles was the #1 song. In 1966, Brian Wilson released his first solo single, "Caroline, No," from the "Pet Sounds" sessions. The track was later released as part of the Beach Boys album, "Pet Sounds." Also in 1966, with Phil Spector as producer, Tina Turner recorded the vocal track for Ike & Tina Turner's "River Deep-Mountain High." Spector had drawn up an unusual contract for the Turners because of Ike's control issues (and Spector's): the "River Deep-Mountain High" album and single were credited to "Ike & Tina Turner," but Ike was paid $20,000 to stay away from the studio, and only Tina Turner's vocals were used. In 1968, in Los Angeles, Elvis Presley recorded "A Little Less Conversation." In 1969, Tommy Roe's "Dizzy" was certified Gold. Also in 1970, Melanie released "Lay Down (Candles In The Rain)." 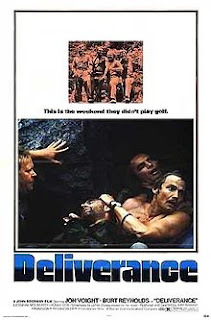 In 1973, a song from the movie Deliverance called "Dueling Banjos" by Eric Weissberg and Steve Mandel becomes one of the few 1970s instrumentals to be awarded a Gold record. The record had topped the Cash Box Magazine Best Sellers list and reached #2 on the Billboard Hot 100. In 1976, in London, Elton John became the first rock star since the Beatles to be immortalized with a lookalike figure at Madame Tussaud's Wax Museum. In 1983, Stevie Wonder and Neil Sedaka are inducted into the Songwriter's Hall Of Fame during a ceremony at the Waldorf Astoria hotel in New York. In 1987, now that Beatles' albums are finally being released on CD, the Fab Four returned to the UK charts with "A Hard Day's Night" at #30, "Please Please Me" is #32, "With The Beatles" sits at #40 and "Beatles For Sale" is #45. In 1997, Darlene Love, one of two lead singers on records credited to the Crystals, was awarded $250,000 in back royalties for the group's 1960s hit recordings. The award followed four years of litigation against record producer Phil Spector. In 1999, singer Marv Ingram (Marvin Inabnett) of the Four Preps died after a heart attack at 60. Ingram left the vocal group in 1966 and became a commodities broker. In 2000, songwriter/fiddler/accordionist/Country Music Hall of Famer Pee Wee King died after a heart attack at age 85. He was the first to introduce drums, horns, the accordion, and electric instruments, including the pedal steel guitar, to country music. In 2001, the Recording Industry of America and the National Endowment for the Arts announced that Judy Garland's "Over The Rainbow" had been selected as their "song of the century." Rounding out their Top Ten were (#2) "White Christmas" by Bing Crosby, followed by "This Land Is Your Land" by Woody Guthrie, "Respect" by Aretha Franklin, "American Pie" by Don McLean, "Boogie Woogie Bugle Boy" by the Andrews Sisters, "West Side Story" (album) by the original cast, "Take Me Out To The Ball Game" by Billy Murray, "You've Lost That Lovin' Feelin'" by The Righteous Brothers, and (#10) "The Entertainer" by Scott Joplin. In 2009, Jimmy Boyd, the child vocalist best known for singing the 1952, Christmas novelty hit "I Saw Mommy Kissing Santa Claus", died at age 70. In 2011, singer/drummer Phil Collins announced his retirement from the music business in order to be a full-time father to his two young sons "on a daily basis."